As a vegan, keeping fit and healthy is often a lot harder than it sounds. Not only do you have to ensure that your body gets the right nutrients, but you also have to check that whatever you’re eating is vegan-friendly. And with so many animal ingredients you have to avoid, getting the required nutrients can often be challenging. Protein bars are an excellent way to give your body some extra nutrients to help rebuild your muscles after you’ve been to the gym. It’s a massive industry, and there are hundreds of different brands that produce their own protein bars. But with so many different recipes and ingredients out there, not all protein bars are made the same. From different types of protein to different fillings, as a vegan, there are plenty of ingredients to look out for. Well, the answer is undoubtedly YES. Luckily, there is more than one source of protein out there, which means whey protein can easily be replaced by cruelty free alternatives. A good example of this is pea protein, which as you can probably guess, is made from peas. By extracting the protein from peas, not only do you get a vegan-friendly protein, but it also tastes likes peas, is gluten, lactose and cholesterol free, and has an excellent amino acid profile. If you’re looking for some vegan protein bars to help improve your diet, then you’ve come to the right place. We’ve handpicked 12 of the highest quality vegan protein bars on the marketing. 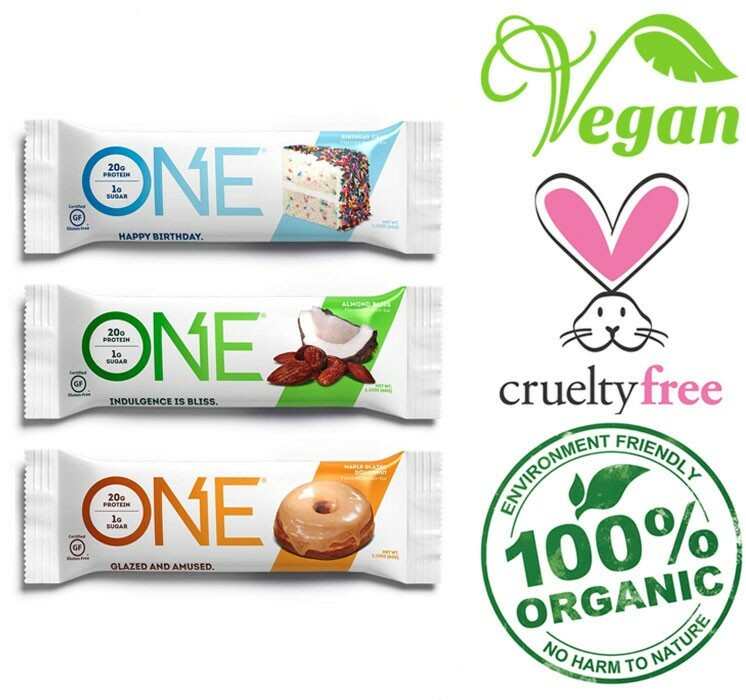 Featuring popular brands, and brands you’ve never heard of, we’ve done all the hard work and research to ensure these protein bars are 100% vegan. No matter if you’re looking for low carb, low sugar, high protein, or gluten-free protein bars, we’ve assorted them into their own lists below. Carbs in protein bars can often range dramatically depending on their filling. If you’re looking for something appetising and filling without lots of calories and carbs, then these are the bars for you. 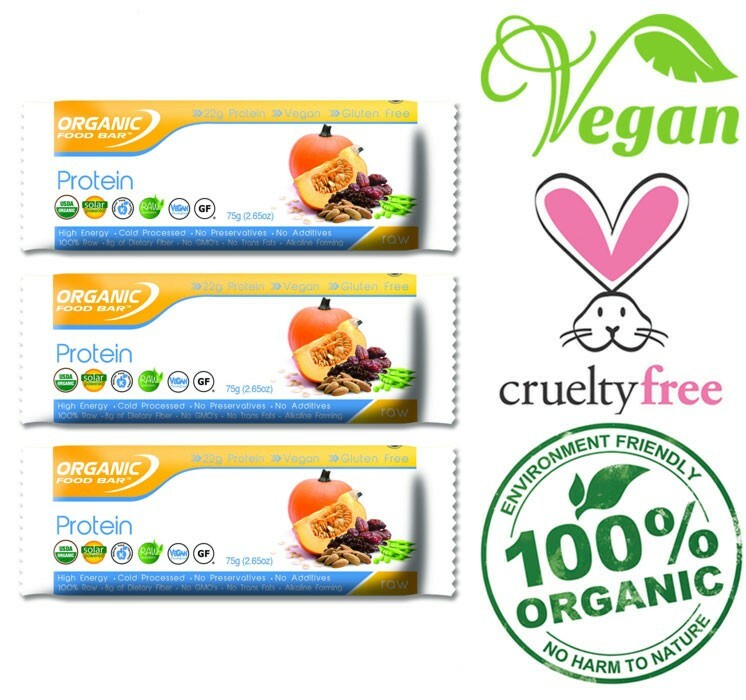 Coming in at only 140 calories per 40g bar, these vegan protein bars by Orgain have around the same calories as half an Avocado. However, unlike Avocado’s, they contain a lot more protein to help fuel muscle recovery and recover your body after a long session at the gym. 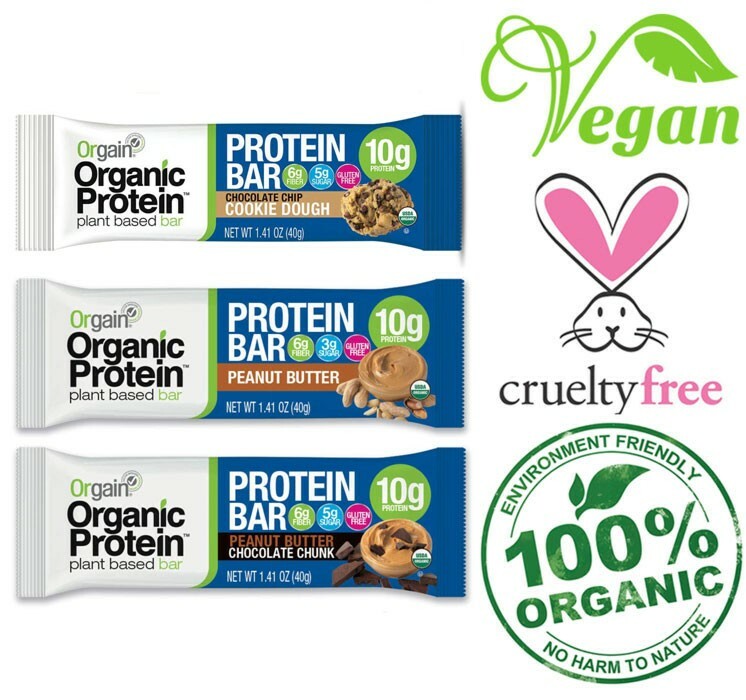 Made from 100% plant-based protein and other ingredients, these vegan protein bars give you clean and delicious nourishment whenever and wherever you need it. Available in 4 different flavors including Chocolate Chip, Peanut Butter, and S’mores (marshmallow and chocolate), these vegan protein bars are sure to go down a treat after your workout. 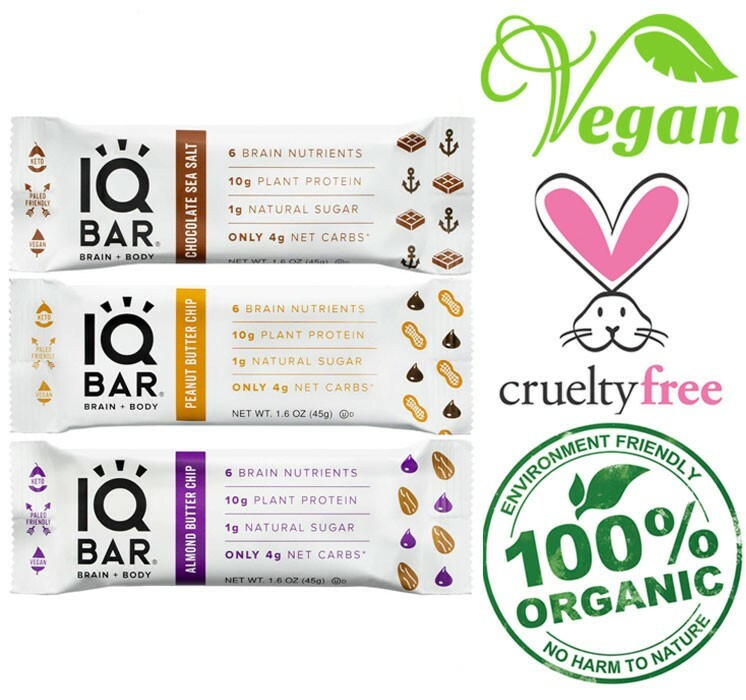 If you’re looking for a low calorie, low carbs, 100% plant-based protein bar, then you need these handy protein snack bars by IQ Bar. Designed to give your brain and body all the nutrients they require, these bars are stuffed full of natural, organic, and plant-based ingredients. In each of these 45g bars, you’ll find 170 calories with only 19g of carbs! Taking a closer look at the carbs list, only 4g makes up the sugar intake while the rest is natural fiber. Sold in boxes of 12 and 6, you can choose whether you just want your favorite flavor, or an assortment of various flavors from their 9 different bars. Flavors include Almond Butter Chip, Cacao Almond Sea Salt, Peanut Butter Chip, Lemon Blueberry and many more. Some diets can require an extremely low carb intake, which means limiting sugar and fiber carefully. If you’re after some seriously low carb vegan protein bars, then these are what you’re looking for. Produced by the guys at Dang Bars, these bars contain nothing but the good stuff. Containing only 10g of carbs in each 40g bar, these bars are sure to leave you saying “Dang, that’s good!” without feeling guilty. Free from artificial sweeteners and any sugar alcohols, you can munch on these knowing you won’t be ruining your diet. Sold in packs of 12 of individual flavors or variety packs containing multiple flavors, you can choose from 6 different unique flavors including Almond Vanilla, Chocolate Sea Salt and Lemon Matcha. Getting enough protein when you’re trying to bulk up can be tricky, especially for vegans. These high protein vegan bars are full of plant-based protein that will help you get the protein you need and grow your muscles. 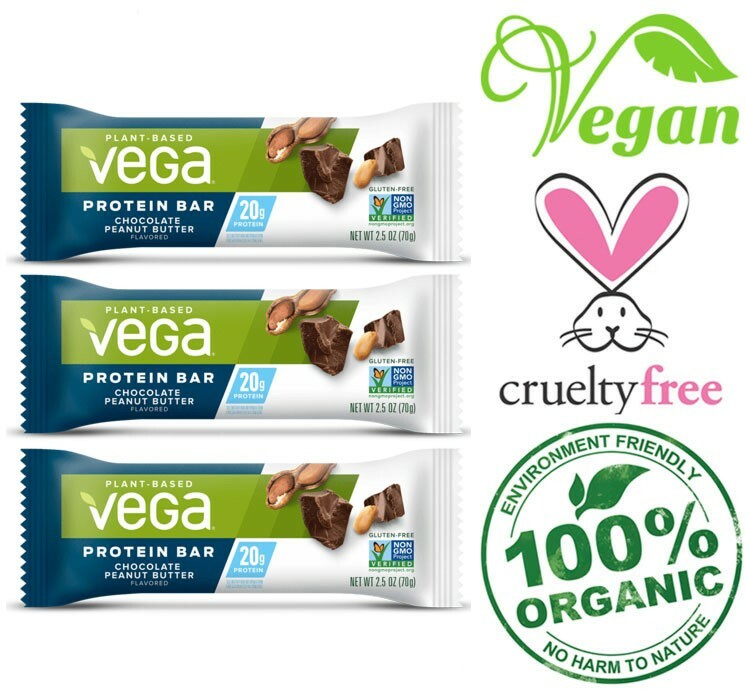 Coming in at 70g per bar, these vegan protein bars by Vega are packed with 290 calories each. If you’re looking for some much-needed calories and protein to fuel your body, then these bars are overflowing with goodness. 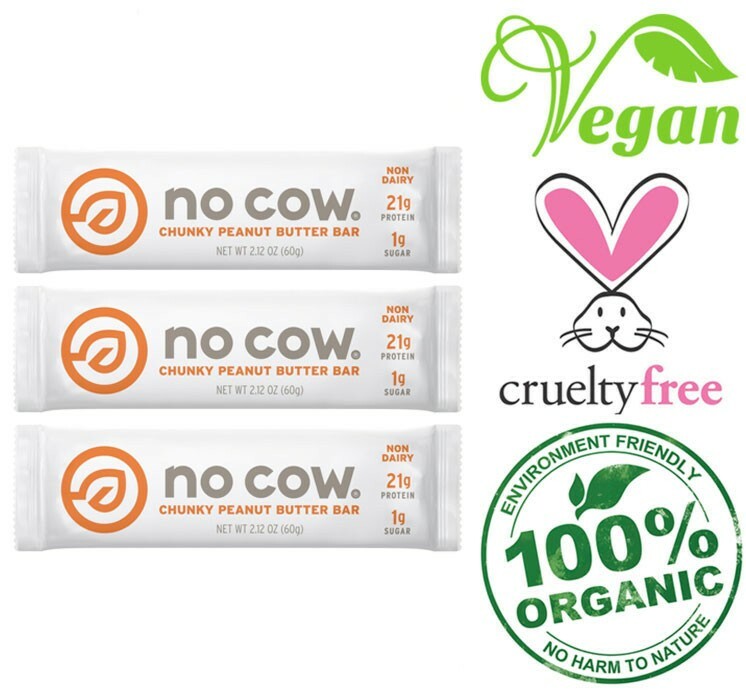 100% certified vegan, non-GMO, gluten-free, and free from artificial flavors and preservatives, you’ll struggle to find any negatives about these bars. With 20g of protein per bar, if you’re looking for some quality plant-based protein, then your search ends here. Choose from a range of 5 flavors including Chocolate Peanut Butter, Salted Caramel, Blueberry Oat and Coconut Almond. Also available in packs of 12 or 4, if you’re still not convinced they’re the high protein vegan bar for you, then you can start small before you commit to a larger pack. When you’ve just finished your workout and you need some quick nutrition, these are the bars you should be reaching for. At 280 calories per 70g bar, these protein bars by Garden of Life are certified USDA Organic, Non-GMO Verified, and Certified Vegan. Containing multi sources of plant-based protein, each bar delivers an impressive 20g of protein to refuel and recharge your muscles. As a bonus, they also contain 10g of naturally occurring fiber and 6mg of natural caffeine. Available in packs of 12, you can choose from 4 different flavors including Chocolate Fudge, Chocolate Mint and Sea Salt Caramel. When you’ve just spent what feels like hours in the gym, making sure you get your protein intake is crucial to aiding muscle recovery. With these bars by Garden of Life, you can enjoy them knowing that your muscles will thank you later. 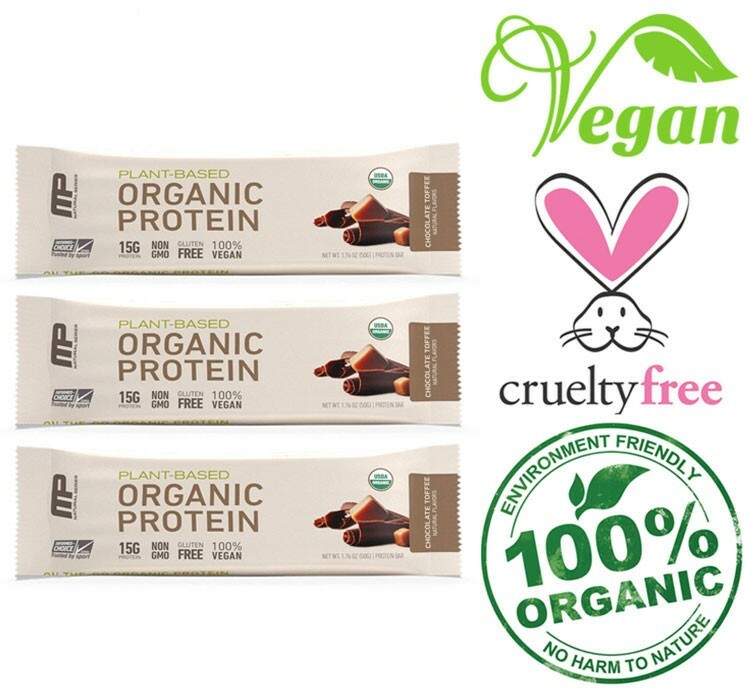 Packed with 22g of protein per 75g bar, these raw vegan protein bars by Organic Food Bar really are a vegan’s dream snack. With no nasty artificial flavors or preservatives, these bars are great for anyone looking to bump up their daily protein intake or just needs some extra energy during the day. Unlike other protein bars, these bars contain only 100% raw ingredients, which means no preservatives, additives, GMOs or trans fats. Currently, the bar comes in 2 exciting flavors which are the standard Chocolate as you might expect, but also Pumpkin and Pea if you prefer a healthier and more natural taste. For some people out there, gluten is a no go. Especially if you have celiac disease or a gluten intolerance. When looking for gluten-free food your choices can often be very limited. Luckily, there are plenty of gluten-free vegan protein bars out there, as you will soon see! 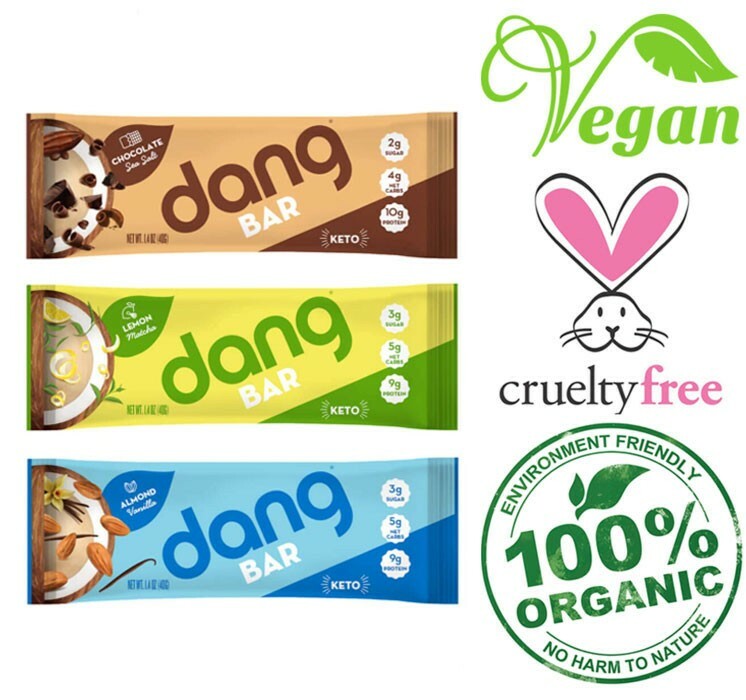 100% plant-based, vegan, kosher and gluten-free certified with no soy or dairy, these vegan bars from Good Snacks are suitable for anyone in need of a quick boost. Each 60g bar contains 220 calories, 29g of carbs and 15g of protein to help keep you energized throughout the day. As for the protein, these bars contain a mixture of Fava Bean and Brown Rice protein to create a nice mix of plant-based proteins. When it comes to flavors, you can pick from 6 different ones including Blueberry, Chocolate Mint, Cookie Dough and even Lemon. 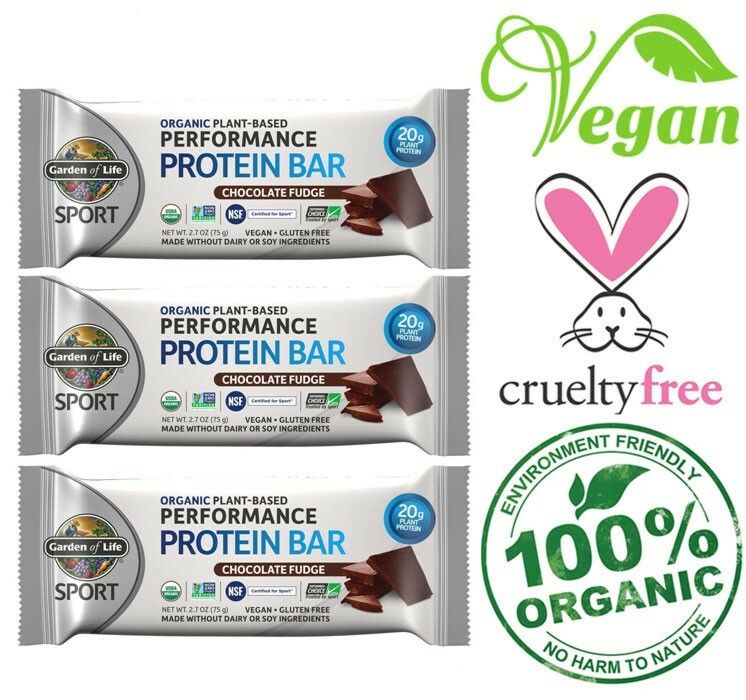 At 69g per bar, these gluten-free, vegan, non-GMO and kosher certified protein bars really do deliver what they promise: plant-based nutrition. 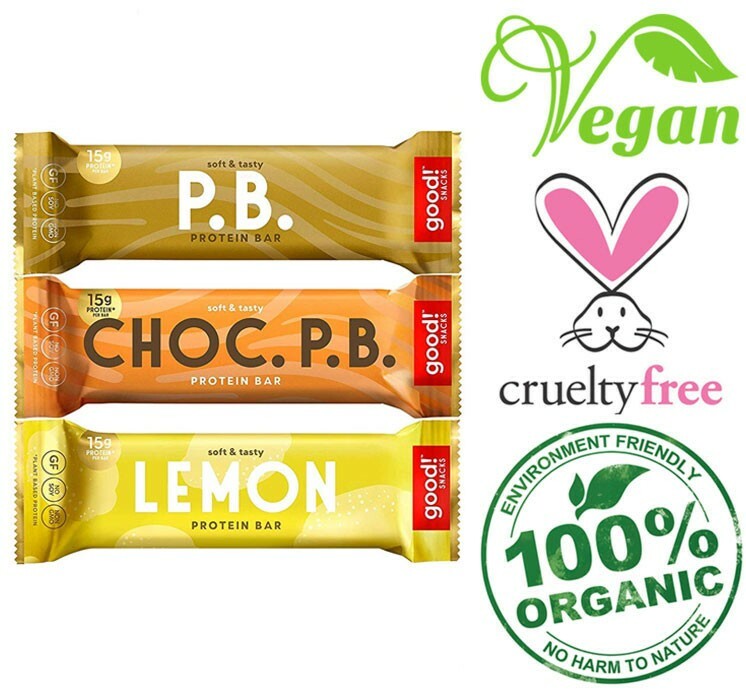 Including a range of organic ingredients such as organic pea and brown rice protein, it’s clear that a lot of effort has gone into these bars to create the best natural taste. 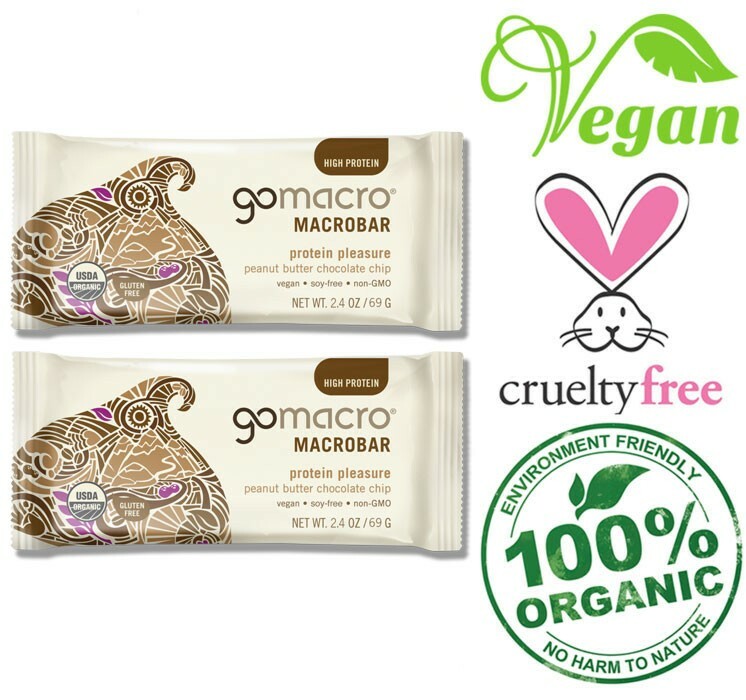 In addition to creating excellent vegan-friendly protein bars, GoMacro also gives back a portion of their profits to support community organizations. If that isn’t enough to convince you these bars are worth a try then wait till you see the available flavors. Currently, there are an impressive 14 different flavors ranging from Cashew Caramel and Peanut Butter, to Sunflower Butter and Chocolate. With so many different ones to choose from we’re confident they’ll be a flavour you’ll fall in love with! Nothing makes anything taste better than a nice layer of chocolate, and the guys over at NuGo know exactly that. That’s why their Dark protein bars contain real dark chocolate which makes them really delicious and nutritious. 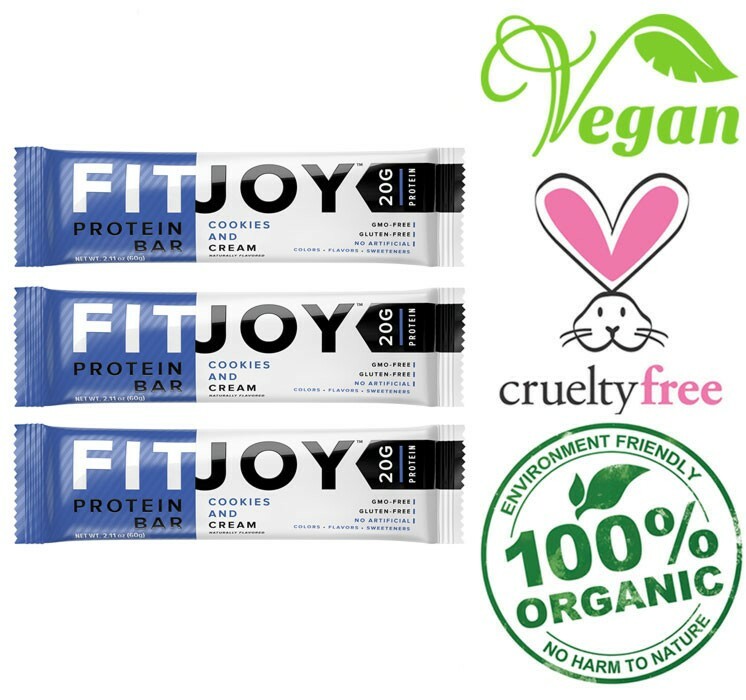 Featuring 12g of soy protein in a 50g bar, these bars only contain the finest ingredients to make sure they are 100% gluten free and vegan. To get your taste buds tingling, the bars come in 6 different flavors include Coconut, Mint Chocolate Chip and Peanut Butter Cup. If you’re a big lover of chocolate and don’t want to feel guilty eating it, then these natural protein bars are a great excuse. If you’re an athlete, fitness enthusiast, or you just like to work out and have an active life, these coconut bars are just what your body needs to keep you energized in a healthy way. 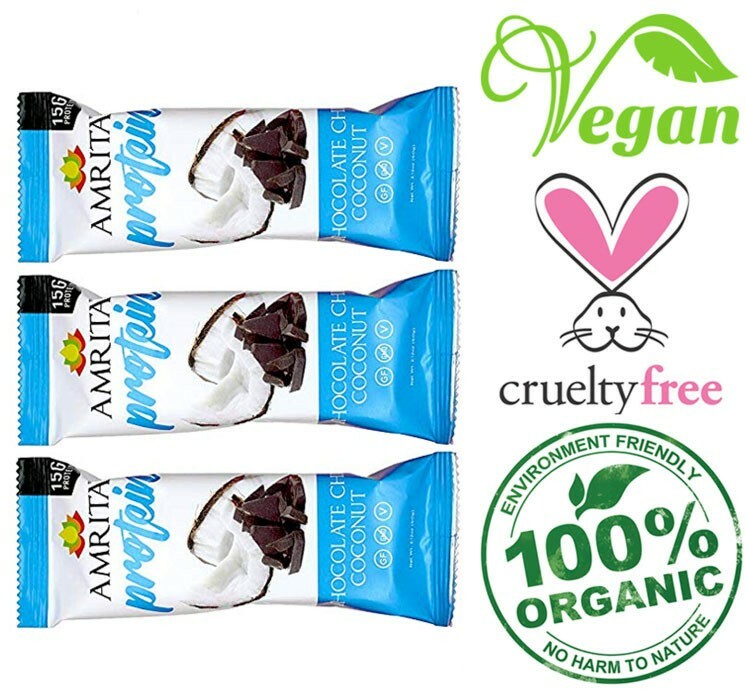 Made in the USA by Amrita Health Foods, these bars are gluten free, dairy free and soy free, while also containing plenty of raw and natural ingredients. Each 60g bar contains 230 calories with 30g of carbs and 15g of protein derived from Brown Rice. Currently available in packs of 12, you can choose from 8 different unique flavors including Apple Cinnamon, Chocolate Maca, and Mango Coconut to name a few. Another excellent vegan protein bar that offers a low-calorie count while also being 100% gluten free with no artificial ingredients, are these organic protein bars by MusclePharm. 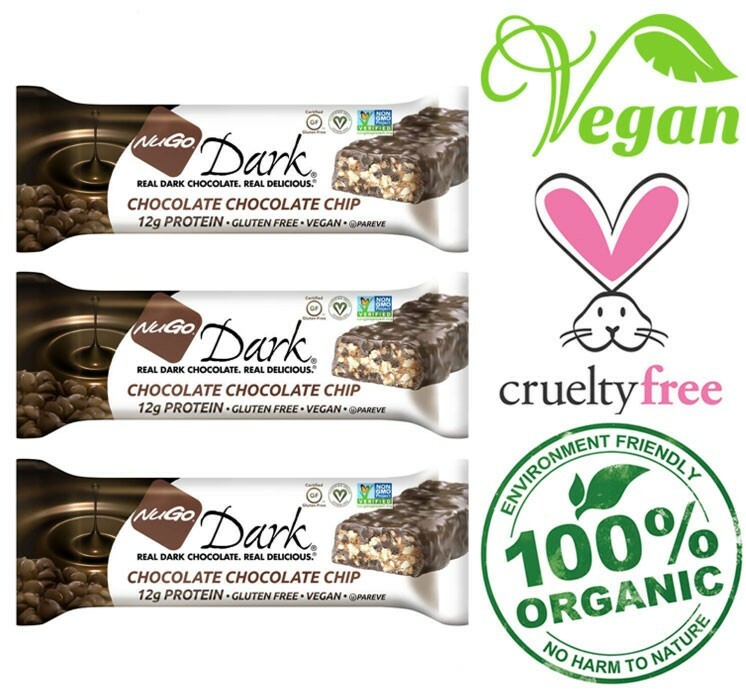 At 50g per bar, each bar contains 160 calories and is 100% vegan-friendly. They’re also packed with 15g of protein from whole brown rice and pea protein, 24g of carbs, and a range of non-GMO ingredients. Unlike other plant-based protein bars on this list, you won’t find any soy in these bars as they specifically use soy-free ingredients. With 2 flavors to choose from including Chocolate Toffee and Peanut Butter, these are certainly a snack you can look forward to eating throughout the day. These delicious protein bars by FitJoy pack 20g of protein, 15g of dietary fiber, and 8g of net carbs, all into 1 delicious bar to help you reach your goals. No matter if you’re trying to lose weight, gain muscle, or just improve your overall health, these gluten and GMO free bars will help you achieve all of your goals. Delivering a uniquely soft and chewy texture, these bars will win you over from your first bite. Available in 3 delicious flavors including Chocolate Peanut Butter, Cookie Dough Brownie and Cookies & Cream, the flavors and unique texture will only leave you wanting more. If you want to stick to a natural and healthy diet, then reducing the amount of sugar, especially added sugar, in your diet is crucial. No matter if you have diabetes or you don’t want to experience a sugar crash during the day, these low sugar vegan bars are perfect for keeping fit. 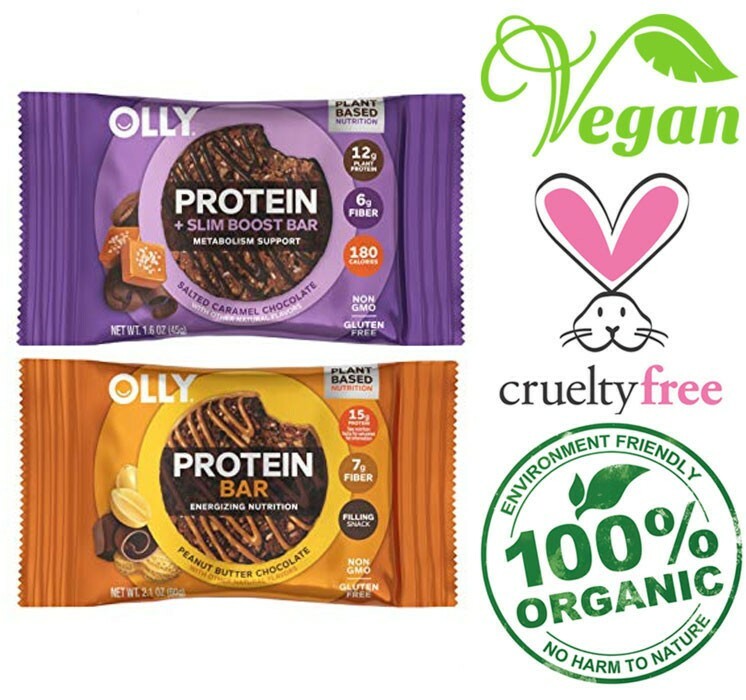 Containing only 3g of sugar per 45g bar, these low sugar vegan protein bars by OLLY help you get the nutrients you need without getting too much sugar. With 20g of carbs and only 180 calories, you won’t feel guilty eating one of these after your workout. In fact, with 12g of soy protein in them each, your body will be thanking you! Available in packs of 8 or 24, you can choose from delicious flavors including Chocolate Coconut Chip, Peanut Butter Chocolate, or Salted Caramel Chocolate. Curb your hunger and reach for these OLLY bars instead of diving into the biscuit tin. With a name like No Cow, you feel confident knowing that these bars don’t contain any animal by-products such as dairy. In fact, not only do they not contain any animal by-products at all, but they also don’t contain any soy, gluten, GMOs or added sugar. If you take a close look at the ingredients, you’ll actually see that each one of these 60g bars only contains 1g of sugar and 210 calories. Compared to other vegan protein bars on the market, that’s an incredibly low amount of sugar. Suitable for fitness enthusiast, vegans, and anyone with a dairy or gluten intolerance, these Chunky Peanut Butter bars are available in packs of 12 or 24. With the appropriate brand name One, these vegan and gluten-free protein bars contain exactly one gram of sugar in them. But unlike the sugar contents, these bars are packed full of other goodness including 20g of plant-based protein and 22g of carbs. With nothing to feel guilty about, you can always give in to your cravings and keep yourself energized without snacking on unhealthy treats. Available in a range of interesting flavors, including Happy Birthday, Indulgence Is Bliss, Eyes on the Pies and Glazed & Amused, no matter the flavor, each bar contains only 1g of sugar.